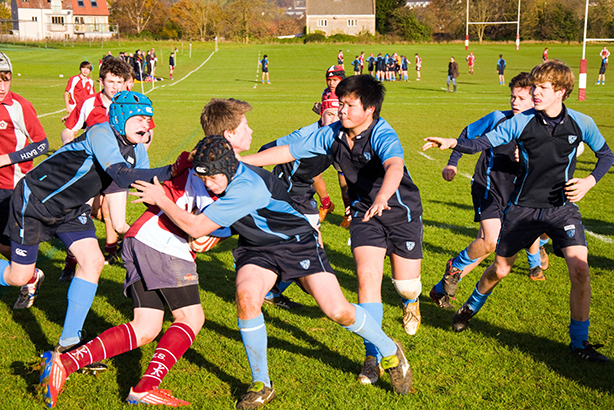 An open letter from more than 70 medics and academics urging schools to ban tackling in rugby to keep children safer has been widely publicised - but two PRs from the sport and health sector have urged it to be taken in context. The BBC, The Guardian, Daily Mail, London Evening Standard, Sky and Irish broadcaster RTE are among those to have picked up the open letter to ministers, which describes rugby as a "high-impact collision sport". It says injuries incurred in tackling could have lifelong consequences, and urges a ban on tackling in UK and Irish school matches. The mother of a young boy who broke his back in a school match two years ago spoke on Radio Five Live this morning, and English rugby body the RFU provided a spokesperson to respond. This follows a comms headache for the sport last year when the Six Nations tournament saw a number of high-profile head injuries, and a BBC documentary later showed the number of cases of this injury was on the rise. In addition, American Football has faced similar reputation issues in the shape of a Hollywood film starring Will Smith. Claire Furlong, head of the sport practice at Hanover which launched last year, who has previously worked with World Rugby as a client, said: "I am a little concerned with the way this petition has not been contextualised in coverage I've read and heard today. There is an element of risk in everything we do, but the evidence shows that the risk of playing rugby as a child is proportionate to other contact sports such as football. So why single one sport out?" She said that "unsupervised play" was the number one cause of injury to children, not organised sport, and that with the UK's looming obesity crisis, sport's positive aspects should be celebrated. "This balance, not to mention what the rugby authorities are doing to keep the game as safe as possible, has been ignored in this petition. However, I do think the rugby authorities should be more robust in their response and use more proof points from the independent research they invest in," she went on to say. Kate Pogson, director of health at MHP, said there were a lot of unknown factors in this area: "There are simply too many unknowns relating to the short- and long-term clinical affects of concussion." Pogson said MHP client The Drake Foundation was working with academic and sporting partners to add to this evidence base but that findings were at least a year away. She said: "I can understand why a cautious approach has been recommended and well reported in the press, although the real need is to build an evidence base that allows children and adults to play sports freely, by better understanding how to better prevent, diagnose and manage sports-related head injuries." The RFU did not immediately respond to a request for comment from PRWeek, but a spokeswoman told the BBC: "We believe that rugby is a fantastic sport for children with many physical and social benefits, which can include an increase in confidence, self-esteem and self-discipline, as well as getting enjoyable physical exercise while working as part of a team. "Teachers frequently comment on notable off-pitch improvements when the sport is introduced in their schools."